Discussion in 'GBAtemp & Scene News' started by Another World, Apr 27, 2009. Goomba Color (GBx EMU for GBA) has received an update. This small update adds Asaki's extra color palettes. What I find sad is that not one DS emulator for a Nintendo or Sega system has not been updated for almost half a year. i still use my gba and gba micro with flash linkers. for that reason i am very happy that flubba and dwedit are still coding for the gba. but the ds emus (most anyways) feature scaling. i find it very hard to play gbx games on the nds using goomba color, for that i prefer lameboy. OMG, so Nintendo's made a gbx now? No, the x refers to GB and GBC. Anyway is this or lameboy better? Does this emulator plays Harvest Moon 3 for GBC? I remember when people said GBC emulation on the GBA was impossible. No one ever seemed to be able to explain "why"
Amazing. This still receives updates? Makes me want to play it on my Micro just because. Interestingly, the GBM actually does still contain the GBC CPU to a certain extent. You can crash it into GBC mode with a special program, though you can't do anything after that point. Still interesting though. See http://www.pocketheaven.com/boards/viewtopic.php?t=6189 if you want to find the crasher program. Nice, I didn't know they were still updating this one. Time to update my pogoshell cart then. im kinda new to goomba, when i run it through my 3 in 1, all i get is a black screen unless i press l+r then i get a settings menu how do i load roms? No GB/GBC emu specific for the nintendo DS ? 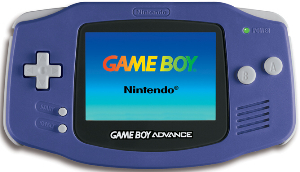 Package your games into your *.gba file with the frontend. Make sure you don't save the output file as "goomba.gba" or you'll overwrite the emulator core. QUOTE(nuke888 @ Apr 28 2009, 01:58 PM) No GB/GBC emu specific for the nintendo DS ? GB/GBC (Goomba Color) emulator needs updating on EZ Flash Omega?